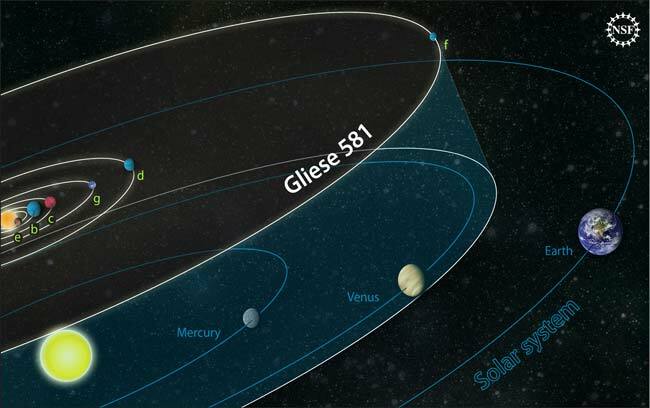 "The existence, or not, of GJ 581d is significant because it was the first Earth-like planet discovered in the 'Goldilocks'-zone around another star and it is a benchmark case for the Doppler technique," said Guillem Anglada-Escudé, of Physics and Astronomy Queen Mary, University of London. The planet candidate was spotted using a spectrometer which measures the 'wobble', small changes in the wavelength of light emitted by a star, caused as a planet orbits it. In 2014 researchers revisiting the data said that the 'planet' was actually just noise in the data caused by starspots. The possible existence of the planet was widely dismissed without further questioning. But now researchers from Queen Mary University of London (QMUL) and University of Hertfordshire have questioned the methods used to challenge the planet's existence. The statistical technique used in the 2014 research to account for stellar activity is simply inadequate for identifying small planets like GJ 581d. The method used before has worked when identifying larger planets in the past because their effect on the star was so significant as to negate errors in the findings. However, it makes it almost impossible to find the smallest planet signals close to or within the noise caused by the stellar own variability. Using a more accurate model on the existing data the researchers are highly confident that the signal of GJ 581d is a real one, despite stellar variability. "There are always discussions among scientists about the ways we interpret data but I'm confident that GJ 581d has been in orbit around Gliese 581 all along. In any case, the strength of their statement was way too strong. If they way to treat the data had been right, then some planet search projects at several ground-based observatories would need to be significantly revised as they are all aiming to detect even smaller planets. One needs to be more careful with these kind of claims."